The product is professional nail art tool. Suit for professional nail salon use and home daily cosmetic making up. This type product is very efficient and functional. 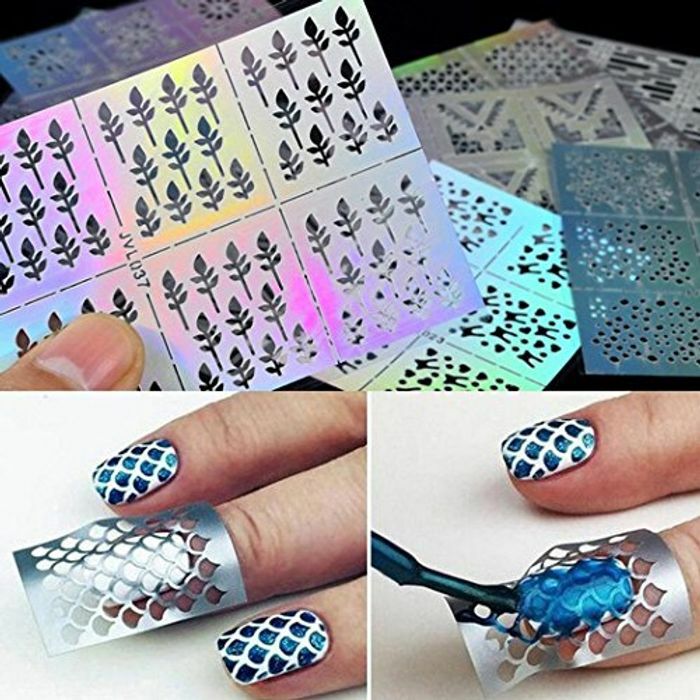 Material: Acrylic nail stencil sticker, easy to use and to wear. Usage: This manicure template sticker must use with nail polish, gel, etc. Design: Stylish hollow out flower, stars, fish, geometric and other types of nail stencil stickers, give you beautiful nails and make you different every day. Application: Suitable for professional nail salon use and daily daily cosmetic making.